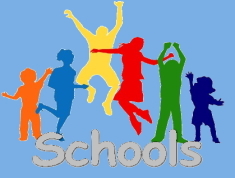 All schools paying in advance are charged €3.50 per child (minimum 6 weeks), otherwise €3.75 per child. Schools will be let into the changing rooms 5 – 10 minutes before the lesson commences. The swimming lesson consists of 40 minutes teaching & 20 minutes practice / fun time. If a school needs to be let out earlier, let the teacher know before the lesson commences. Please inform instructors on week one if any child has any medical conditions we need to be aware of. Childrens feet may be checked for visible verruca. should one be found, the child will be unable to continue with lessons unless swim socks are worn, till such a time as the verruca is fully better. If any school cannot come on a certain day for whatever reason, one weeks notice MUST be given to the receptionist as staffing rotas may need to be adjusted. Where notice isn’t given, no concession will be allowed for class(es) missed. Swimming hats must be worn at all times in the pool. There is no guarantee of the same teacher every week. All teachers are qualified and are following a specified syllabus. Groups with younger children that need assistance when changing may use the family changing area and the special needs toilet. Ladies are not permitted into the gents changing area to facilitate changing young boys, as building is open to the general public at all times. Children must follow staff instructions while inside Bailieborough Swimming Pool & Leisure Centre. No shouting or banging of locker/ changing room doors allowed. Any damage that arises is the responsibility of the pupil and/or school and must be paid in full. Bailieborough Swimming Poll & Leisure Centre takes no responsibility for articles lost while on premises. Lockers are provided and accept tokens (cost 0.25c). Please insure that your school leaves the changing rooms as they found them, in particular all rubbish must be put into bins provided. No running, jumping or diving unless it is part of the swimming lesson. Also the teacher has the authority to send pupils to the dressing rooms if not behaving themselves. The swimming programme is only successful if schools & Bailieborough Swimming Pool & Leisure Centre work in union to the common aim.